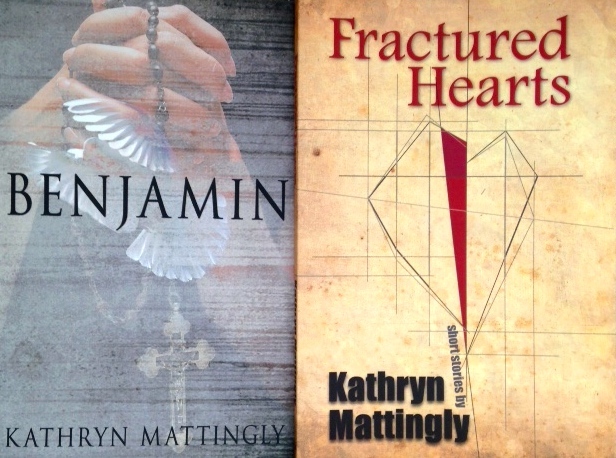 …Kathryn also has a short story collection entitled Fractured Hearts. Traveling to the kudzu-covered mountains of North Georgia to care for her mother-in-law after a fall, Alice fights against inner demons from her abusive past and uncovers ugly family secrets, as devious attacks on her and her family threaten their lives. Recently I had the pleasure of speaking with Amy Rivers about her newest release. I met Amy when living in Colorado for a short time, and consider her to be one of the kindest, most caring people I have ever met. Amy is also very dedicated to her craft of writing. I have read and enjoyed all of her books, and have found each one to be more captivating than the last. If you’re looking for a good read by a smart, accomplished woman who is also an engaging author, then be sure to check out everything on Amy’s shelf. Her ability to create suspense, relatable characters, and a thought-provoking plot makes her work well worth putting on your ‘to read’ list. ‘All the Broken People’ has a very interesting plot. Where did you get the idea for it?It all started with kudzu. I’d never been to Georgia before I met my husband and when he took me to meet his parents, I fell in love with the kudzu. It was everywhere and it was quite possibly the creepiest thing I had ever seen. I immediately started picturing killers and ghosts hiding out behind the leaves, waiting to pounce. My sister-in-law assured me that people stayed out of the kudzu because of snakes, but my imagination isn’t swayed by reason. I started thinking about how kudzu hides things and the story of All The Broken People was born – a story where secrets become the undoing of all the people involved. There are a lot of twists in this suspenseful book. Did they come to you while writing, or did you have everything planned out before starting that first draft?I’m not an outliner, but I had a general idea of what I wanted to accomplish with the book. That being said, the plot took twists and turns that I’d never anticipated before I started writing. Several revisions in, I realized I was missing a voice and a whole point-of-view character was added. I’m always so jealous of the people who are able to outline the whole book ahead of time but my creative process just won’t let me be that organized. How has your creative process changed with your growth as an author? Over the years, I’ve learned to add some structure to my writing process. I create character sheets. I do some basic plotting without marrying myself to any of the things I’ve put down on paper before I start writing. Recently, I’ve begun creating a book bible so I can keep things straight in my head a bit more. But I’ve also learned to trust my gut when it comes to my writing. People are complicated, and it’s important to me that I allow my characters to be just as obnoxious and difficult as they need to be to tell their stories faithfully. At the end of the day, I want my readers to see my characters and realistic and relatable, no matter what decisions they make and I find that it’s easier for me to reach that point by allowing the story to grow somewhat organically. Have you always liked to write, or did this gift reveal itself to you later in life? I’ve always loved to write. I had teachers throughout my childhood that encouraged creative writing for which I am eternally grateful, though I happily wrote nerdy book reports and essays in my spare time as well. My first book was a romance I wrote in 3rdgrade. My family still pulls it out to have a good belly laugh. As part of my graduate degree, I wrote academic papers on topics ranging from abnormal psychology to US-Mexico border disputes, and ultimately a thesis on the psychology of violence. As I pursued my studies, I started thinking about how works of fiction influence the way readers see things and understand the world around them. I also worked with organizations that provided services for victims of violence and I came to understand that victims and offenders of violent crime don’t always behave the way we think they will. When I decided to write fiction, I wanted my stories to reflect how people really are—the complexities of their actions and beliefs. I wanted to take an honest look at the ugly things in their backgrounds and how those things both define them and how they are overcome. And I hope to create a little empathy for the broken people of the world. Now that ‘All The Broken People’ is out there among your old, and soon to be new fans, do you have a general idea of what you’ll be penning next, and can you share a little bit about it? I have two projects that are vying for my attention. The first is a story that involves sisters who get all tangled up in a series of murders while on vacation. The second wasn’t in the cards, but life sometimes has other plans. A few weeks ago, my family suffered a loss. While dealing with the emotional aftermath of that loss, I started imagining the story of a woman who loses her best friend and has to figure out what happened. It’s a vague sort of notion at the moment, but every day the storyline grows stronger in my head and it seems likely that this second story will demand to be at the head of my priority list before long. That being said, I’m focused on getting All The Broken People into the hands and hearts of new readers. And I’m hugely grateful for the opportunity to introduce this book baby of mine to your readers. Amy Rivers was born and raised in southern New Mexico and currently resides in Colorado with her husband and kids. Her graduate work focused on politics, psychology and forensic criminology, topics she loves to incorporate into her personal essays and novels. Amy has been published in Chicken Soup for the Soul: Inspiration for Nurses, Novelty Bride Magazine, and Splice Today, as well as several fiction anthologies. She is the author of two novels, Wallflower Blooming and Best Laid Plans & Other Disasters. Her third novel, All the Broken People, will be released in March 2019. “An immensely talented writer, Kathryn Mattingly (BENJAMIN, JOURNEY), has a new novel out. I was lucky enough to get an advance copy of OLIVIA’S GHOST and can say this is an absolute must read – and a great gift for the upcoming holidays.” Joseph Falank, author of An Unexpected Visit. While reading Kathryn Mattingly’s newest novel Olivia’s Ghost (for sale everywhere as of Friday) I found myself having a gut-wrenching experience, but in the best of ways. I’ll explain. Jackson and Olivia Porter go sailing on Puget Sound and lose their daughter, Ava, overboard during a sudden squall. During the ensuing weeks Ava’s parents understandably reside in a constant state of shock and grief. Jackson believes their daughter to have drowned, but with no body recovered, Livy maintains that in a flash of lightning she saw someone on a boat pull Ava from the water. Only their daughter was never returned to them, providing Livy with ghastly wonderings as to what became of Ava following this hope of a rescue. This brings about the first cracks in the otherwise sturdy wall of their marriage. Olivia believes so strongly that their daughter is still alive, she leaves Ava’s Memorial Service in a panic to chase down a girl that resembles Ava. With her mental capacities now in question, Olivia nonetheless decides she cannot remain with Jackson as long as he doesn’t hold a flicker of belief in her maternal feelings about Ava being out there, likely held against her will. For respite, Olivia returns to a lighthouse on the Oregon Coast manned by her father. It’s there that Olivia, who writes for a magazine, delves into the mystery of a ghost that supposedly haunts the stairwell. A ghost with a message for Olivia. In the opening I mentioned having a gut-wrenching experience reading Olivia’s Ghost, and here’s why: ever since a wintry afternoon two years ago, when I learned I would become a father, I’ve had difficulty with stories (of all mediums) that deal with children in peril. My wife and I went to the movies the night we learned our little Peanut would be joining the family, and Heaven Is For Real was one of the movie previews. It’s inspired by the supposed true story of a boy who dies on the operating table and claims to have traveled to heaven before coming back. I cried watching it. Yes, I cried at a movie trailer. Mattingly’s opening chapter of what happens on Puget Sound draws you right into the Porter family. You like them immediately, and you clench and wince with dread knowing the looming clouds mean the worst for this family. You know what’s going to happen, and that almost makes it worse. You’re at the mercy of Mattingly’s striking prose, which puts you right there with this family, at the worst moments of their lives, and you can do nothing to help. You can only observe. Being a parent, I couldn’t imagine how I’d respond to such a tragic event. And that’s how I approached Olivia’s Ghost – by wondering what I would do, wondering what my wife would do in the face of something so unspeakable. The other gut-wrenching portion of my experience is that while I can see why Jackson would be stubborn in his belief of what happened, just as much as Olivia is with her own belief, it saddened me to read how the two could not find common ground. Or what common ground they did find was not enough, making separation the only answer. I wanted each side to fight harder for the other, regardless that their traumatic events had taken a substantial toll. Neither side would give or bend. Escape was the only solace. Oh, no. I can’t go there. Except only to say that you will be hooked right to the very end. To the last line on the absolute last page. What Kathryn Mattingly has done here, at least for me, is create a truly psychological experience. Her expertly written dialogue, characters with the best of intentions residing in shades of gray, and scenes painted with only the finest of strokes, turn the real questions back onto you. What would you do if you were Jackson or Olivia? How far are you willing to go to get the truth? Is the truth enough? One only needs to open Olivia’s Ghost to begin discovering the answers for yourself. Just be warned, putting the book down may be more difficult than answering the questions it raises. Kathryn Mattingly has taught writing at four different private colleges. Aside from her literary suspense novels and short story collection, Kathryn’s work can be found in numerous small press anthologies and several print magazines. She has won five awards for her fiction, and teaches novel writing at a local college. Kathryn ~ First, loved the book. I found it powerful, heartbreaking, and ultimately it created a struggle within my own self as to how I would handle the situation Jackson and Livy find themselves in. To say I found your story effective is quite the understatement. What made you want to write this story? How long did it take to put together that first draft and what was your schedule for writing it? As a parent of four, nothing I imagined could be more horrific than losing a child before your very eyes and not being able to do anything about it, except watch. I’m sure I pulled from novels and movies that touch upon this theme, because I read a lot of books and am quite the movie buff. Sophie’s Choice nearly destroyed me in that moment of first realizing the implications and far reaching effects of such a dilemma. I wrote the first draft of Olivia’s Ghost over a decade ago, and only recently completely reworked the book. When I originally wrote it Terry Brooks (author of New York Times best selling series Sword of Shannara) was my mentor. He loved the premise, but feared certain aspects of the paranormal theme might not suspend my reader’s disbelief unless I reworked it a bit. I also had a New York agent at the time, Tony Outhwaite, with JCA Literary Agency. He sent the original book out to numerous editors at various publishing houses and the feedback was wonderful. They all loved the main concept, characters and setting, but that paranormal thread still needed work. I finally nailed it by doing a major re-haul of the ghost in the lighthouse, at least if my early readers are any indication. I must say it felt immensely satisfying to finally give this book a proper paranormal plotline that draws my readers in and endears them to the ghost. As I’ve noticed in your other books, your characters aren’t black and white. Here, both the characters of Jackson and Livy are in states of grief, but Jackson plays the head to Livy’s heart in regards to believing what ultimate fate became of their daughter, Ava. Obviously I won’t spoil that here, but I want to talk about these characters. Jackson’s approach is one of, “It happened, it was awful, but for the sake of what we have left – we need to move on,” whereas Livy refuses to give in to that thinking, trusting that their daughter was indeed pulled from the Sound during the squall by a person on another boat. She needs to find Ava and bring her home. Is this a matter of Livy trying to gain some measure of control over the uncontrollable situation they had with Ava on the water? Or is this just guilt for not saving Ava? You’re right about my characters not being black and white. One aspect of writing that I enjoy most is showing how a character behaves under pressure, when experiencing a difficult situation. Jackson and Olivia’s self perception as responsible and good parents becomes badly shaken, and they deal with it in different ways. Whereas Jackson chooses escapism (into his work or a bottle of booze) Olivia wants to find her child and resume their once happy life as if nothing ever happened. Neither of them can justify to themselves the unthinkable – letting their daughter drown in a storm on a sailboat where they believed she’d be safe. All parents believe they can keep their child safe no matter what – right? Well, the truth is that neither of them could save their daughter, so while one is trying to escape from that reality, the other is trying to change it. If Olivia perceives herself to be unstable (and she fears she might be) then she cannot continue to believe Ava is alive and well, and waiting to be found. She feels she has no choice but to believe that the ghost is also real, even though a part of her questions it. Because I’m so caught up with how Jackson and Livy reacted differently in the aftermath of the squall, and I always like to wonder “What if…” let’s say Ava drowned and they – Jackson and Olivia – pulled her from the Sound. How do you envision their lives would have gone on from that point? Would the issue of their daughter’s death still have put them at odds? I don’t think so. I think they would have grieved like most parents do when losing a child. It’s a myth that most marriages break up over the loss of a child. Most of them do not. But those with extenuating circumstances often do, and that’s what we have regarding Ava – no body, and a possible rescue seen in a flash of lightning through the pouring rain by Olivia. Now we have her parents at odds as to what they think happened, and we have set the course for conflict between them. Did you learn anything about yourself in writing OLIVIA’S GHOST? I realized how much I loved living on the Oregon Coast while having my babies. At the time I felt isolated and a bit resentful that there were not more opportunities for me to connect with other young mothers through organized activities. But now I cherish those years of isolation with my four young children, and the unique environment in which we lived. The beach was literally their playground, and all it took to entertain them was a bucket and shovel. When they were no longer toddlers I ran a school for the ‘Creative Expression of Young Children’ where we did everything kinesthetically through art or theater (I have an art degree). Above all else the school impressed me with the lengths parents will go to for their children’s welfare. They would even take time off work to do their obligatory day as ‘helping hands’ for art and theater projects. This book, ultimately, is about how nothing can compare to or replace the love we have for our children. Having no knowledge of boats, the water, or sailing, I found it absolutely frightening the speed at which the squall materialized. Can storms over the water really come together that quickly and without warning? Yes. Squalls are sudden storms that appear to come straight from hell, stirred by the devil himself. You never know when or where they might form in the ocean. Do most people who sail a lot encounter them? No. But they happen often enough that most people have heard of them, or read about them, and they have happened on Puget Sound. Events such as squalls drive home the concept that we are all victims of fate, regardless of how much we think we have planned for safety or security in our lives. It can be stripped away by one momentous act of something unforeseen. In the end it is our courage (or lack there of) in such situations that truly define us. Sara Ann Kaster, 39, passed away peacefully in her Eugene home on October 20th after battling cancer for nearly five years. Sara was a nurse at Eugene Pediatric Associates. She is survived by her husband Eric and four children: Carly (14), Kayla (11), Rocco (9) and Riggins (4). She is also survived by her parents, Doug and Kathy Nelson, and her brother and sister-in-law, Todd and Sara Nelson, and their children: Adelyn (13) and Andrew (6), all of Eugene. I give this tribute with a heart that deeply mourns Sara’s loss. None of us who knew her will ever forget that little girl with the white blonde hair and long skinny legs. As an adult, Sara lovingly and tirelessly nurtured her children (Sara had always wanted a lot of kids) and those she served as a nurse. She was taken from us too soon, and is missed by so many. At this time of thanksgiving I am thankful to have known her. Even as a little girl, Sara was wrapped in an aura of kindness and warmth. Her smile lit up whatever room she was in. It exuded cheerfulness, that smile. You couldn’t spend time with Sara and not feel more positive about things. She radiated hopefulness through her sincere joy of living. It seems like only yesterday when she and her brother ran down the shores of Lake Billie Chinook with our own children. They’d float on rafts beneath the hot sun without a care in the world. Life is made up of moments. Who would ever have thought those summer vacations our families spent together would one day be golden memories, shimmering brightly in the sands of bittersweet time? Sara had the gentlest of souls. Goodness sparkled in her eyes like mischief might in others. There is something to the expression that the good die young. Perhaps Sara earned her angel wings in half the time it takes the rest of us. Perhaps God needed her somewhere else, for a task only she could perform. It is sad that we could not hold her here to fill our earthly arms and that her four children will grow up, not just without a mother, but without a mother who was phenomenal at the task. Perhaps Sara is light-worlds away championing the weak or needy, just as she did on earth. As full of light and love as ever, but no longer afflicted with a diseased body. Instead, perhaps she is strong and razor focused on her new, knightly endeavors in that next realm. We will think of her every time we see a shooting star or a full moon. We will know that she is out there somewhere in a faraway world. Perhaps one day we will visit that next world ourselves. Then once again we will see that smile and it will be exactly as we remembered it. Alas, we will smile back and ask Sara how she’s been, and if she’s glanced down upon her loved ones from time to time between battles anew, wrapping them in her unseen arms of complete and utter love. Oh what a tale she will tell when we meet again. It will be a story for all ages… and one, I daresay, we will listen to around a campfire that crackles and glows with merriment. Much like the campfires our families shared all those years ago on vacations at Cove Palisades. In the meantime our hearts and minds will never forget Sara. We will always think of her when we see a star dancing in the night sky. We will think about how she is out there, somewhere over the moon, sending kisses on the wind to her children’s cheeks as they sleep. Click this link to read more about Sara Kaster. Reviews from author friends whom I admire and respect are coming in for my third literary suspense novel, Olivia’s Ghost, recently released by Winter Goose Publishing. Thank you each of them for taking time to read my book and comment on it. All of these authors have wonderful books out that I highly recommend for your reading pleasure. From Eldon Thompson (eldonthompson.com) author of the fantasy series The Legend of Asahiel… “A powerful portrayal of love and loss… With Olivia’s Ghost, author Kathryn Mattingly once again uses rich language and a keen interpretation of human emotion (and human frailty) to carry the reader through a poignant adventure of the heart. I can’t imagine the anguish that must stem from losing a child, yet Mattingly’s descriptions in this tale are so frank, so earnest, so heartfelt, that I came much closer than I would ever want to. She made me feel just how empty and devastating such a loss would be. She made me want to be there with these characters to commiserate with them, console them, grieve with them. She made me want to believe, as her protagonist does, that there must be some other answer, some misinterpretation of events that would allow for something more than the harrowing, hollowing truth. As with all of Mattingly’s stories, there is a mystery here that demands resolution. But the true strength of the story, the common thread in the Mattingly books I’ve read, are the questions of love and loyalty. What must it do to a marriage, this greatest of losses? How does each person reconcile it, privately and together? At the peak of our vulnerability, what choices do we make in search of sustenance and support? The moral ambiguities presented in this tale raise dramatic questions difficult to answer. Which in turn heightens the tension. Whichever end you might be rooting for, it becomes hard to blame the characters should they choose an alternate path. Which meant I had no idea how it all might end, and was thus glued to the pages with anticipation. From Gabriel Valjean author of the Roma series… “Literature is ripe with stories about the loss of a child; the theme of such grief ripples through many of John Irving’s novels. Where most authors would dwell on the simmering, if not open, hostility and recriminations between spouses, Kathryn Mattingly provides a twist by offering the reader two mysteries: the disappearance of one child, the daughter of Olivia and Jackson Porter, and a ghost associated with a lighthouse. From Linda J. Berry author of Hidden… “Kathryn Mattingly has mastered the art of bringing complex characters to life and embedding them in a story that is hauntingly tragic, hopeful, and tinted with wisps of the supernatural. Add a stunning beach setting and historical lighthouse on the Oregon coast, two tormented men who compete for her love, and you have an emotional roller coaster ride that will leave you breathless. Recently I was a guest author on Patricia Stoltey‘s blogpost. Pat is a locally renowned author, blogger, and member of NCW. I feel honored to be the coordinator for the Northern Colorado Writers Top of the Mountain writing contest associated with the annual conference which will be open to submissions in September. It’s a pleasure working with the wonderful, expert judges and the inspiring entrants who never cease to amaze with their interesting and well-penned manuscripts. Here is a repost of that article. I hope it helps both inspiring and seasoned writers everywhere either reach the winners circle or stay on top of their game, because whether entering a contest or not – these are the key elements of good writing. To land you in the finalist’s circle of any contest and possibly win you the first place award, begin with examining your Viewpoint. Did you use a consistent, identifiable, and appropriate POV for the scene, and without any author intrusion? If point of view is confusing or unclear to you, be sure to study up on it because, like tense, it is the glue that holds your book together. Next, scrutinize those Characters. Have you developed your protagonist and antagonist effectively? Are they believable? Are we sympathetic to your hero or heroine? This means regardless of the mistakes they are making we understand their motives and are rooting for them to eventually figure it out. We want them to succeed, or otherwise accomplish what they have set out to do. If we don’t care, then you haven’t endeared us to them, which means we are going to close the book somewhere before page 25. Not coincidentally, this is the same number of pages you submit to the contest. This leads to Pacing. No matter how clear your point of view, or how consistent your tense, and regardless of our empathy for your main character, if your Plot does not have a compelling reason for us to turn the page – we won’t. Exactly why you must be certain every single scene whether action, narrative, or dialogue moves the story forward. Did the author use a lot of backstory? Did the sequencing of events make sense? Did the author ‘show’ and not ‘tell’ what is happening? Is the overall flow of the novel pleasing? If the rhythmic and smooth effect of a well-orchestrated storyline isn’t there, it is often because you used too much backstory, and/or did not sequence your events properly. Either issue can cause your effect to be choppy and segmented, bogging your reader down as they struggle to keep everything straight. If there is too much narrative (which means inactive telling rather than active showing) we are going to fall asleep, or at the very least not remember a word we just read. Which leads to the importance of Tension (or suspense). Tension and suspense begin with an opening Hook… something that fully invests us in whatever lies ahead. And let’s not forget Setting. No matter how surreal, it must be interesting and believable. Setting includes a timeline that carefully unfolds before us in a way that grounds the reader. Are the action scenes clear and precise so the reader always knows who is doing what to whom? Is the Dialogue appropriate for the person speaking it? Can we be certain who is speaking whether a dialogue tag is used or not? Are you sticking with the standard dialogue tags ‘he said-she said’? Is every scene whether dialogue, narrative, or an action scene necessary to move the story forward? Do the twists and turns of the plot move progressively to a Climax? Do those twists and turns show growth in your main character? Does the climax give us a clear and concise view of what they ultimately stand for? Do they win the day and if not, why not? Is the Resolution to the story satisfying? This doesn’t mean you have to tie everything up with a bow, or have a happy ending. It means your reader, upon reflection, will be glad they invested the time it took to read your novel. Finally, Mechanics do matter. Nothing disturbs a story more than poor sentence structuring, bad grammar (outside of character-appropriate dialogue) or typos. Improper use of punctuation disturbs the flow of your story as much as anything. The last thought I want to leave you with is this: Who is your Intended Audience? The correct answer to that does not include ‘everyone’ unless your book is required high school reading (such as To Kill A Mockingbird). The rest of us need to define our target audience. Choose the genre that best describes your work. Your entire stage presence depends on it. This includes your author platform, what section your novel is in at the bookstore, what time of day is best to have book signings, and who will come to your speaking engagements. Be cognizant of your ‘fans’ (readership) with everything you do and say to promote your work, and yourself. Being true to the image you create as a writer, is key to success. Consider entering your polished manuscript in the T.O.M. contest. There is no better way to monitor how successfully you’re achieved all of these important elements than to get expert feedback from accomplished wordsmiths! Submission for the contest will open in September. You’ll find the announcement on the Northern Colorado Writers website and here on this blog. 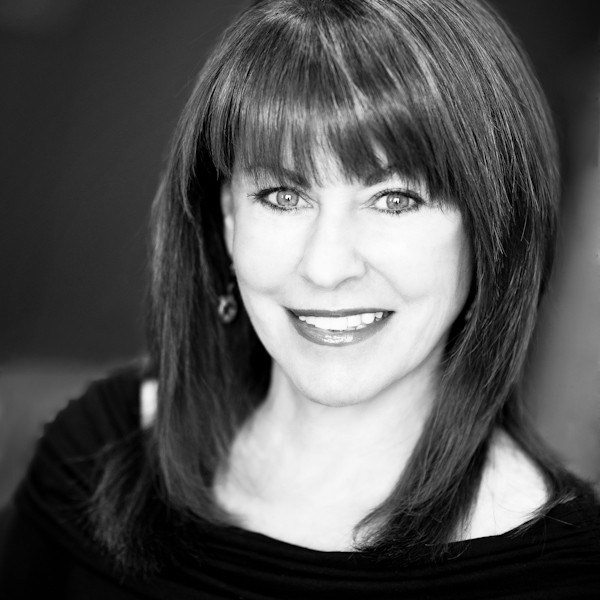 Kathryn Mattingly is a college educator, professional editor, award-winning author and public speaker. She has taught numerous writing courses in the English and Communications departments of several private colleges. Her literary fiction novels Benjamin, Journey, and Olivia’s Ghost (2016) can be found at all major booksellers. Five of her short stories have received recognition for excellence and are published in eight different themed anthologies through various small presses, and in her collection Fractured Hearts. Kathryn currently teaches courses she has created for the continuing Ed program at Front Range College. This fall she will be teaching novel writing, novel editing, and short story writing. Find the details regarding her July workshop through the college here. Learn more about Kathryn and her writings on her webpage, her Amazon author page, and the Winter Goose Publishing website. She can also be found on Facebook and Twitter. 1 – Dance in the rain. The very next time you have a downpour that could cause flashfloods grab someone near you and recreate your own flashdance- just like in the movie. Or if you prefer, pretend you’re in a ballroom or disco bar. Or just hold that other someone getting drenched on your behalf and sway ever so slightly. Savor it. Sear it into your soul. Spend time recalling the invigorating touch of nourishing raindrops, the titillating sound of splashing water on hard earth, and the smell of your immediate world being bathed in love raining down on you from God above. 2 – Kiss like young lovers. Hard. Long. Often. Purposefully. Stare into your lover’s eyes. Even if you’ve been married 50 years or more. Even if you’re exhausted from work. Or the kids are breaking things in the next room. Or you just burned dinner. One day you will be glad you did, and do, and always will until that opportunity passes and you no longer can… because one of you is gone. 4 – Commit to a matinee day. Twice a month be inspired by what is on that big screen. Or be terrified. Perhaps angered. Maybe saddened. No matter your reaction, you will be MOVED emotionally. Then think about it all week. Let it fester and grow, and CHANGE you in some small way. 5 – Support the dreams of others. Listen and encourage. Applaud their accomplishments. Make a toast to little achievements. Mention their success, no matter how small. Buy their products purposefully- books they’ve published, CD’s they’ve recorded, produce they produce. Attend recitals of your friends’ children. Go to community plays. Ballgames. Neighborhood gatherings. Be a small part of something bigger. A unique little piece of the puzzle, without which, it isn’t complete. 6 – Converse with store clerks. Cheerfully inquire about their day. Have a happy comeback or an understanding look. Thank them for waiting on you. Even when they frustrate you; fade anger into forgiveness. Realize their significant other may have just left them. They might have recently been diagnosed with cancer, or simply can’t pay the light bill. Be their light for that moment your life touches theirs. 7 – Smile at kids in crowded places. You know, the ones hiding behind an adult but sneak a peek at you? Or the toddlers that toddle after mom while whining nothing translatable in sad little voices? (We can assume they’re hungry or tired, because toddlers are always hungry or tired.) Smile at the wild school-aged kids running down the aisles or trying on the nail polish. Find humor in these under-disciplined, out-of-control, what-is-the-world-coming-to pint-sized people. If you do, you will go more gently into that good night one day. 8 – Send cards to seniors. Not just any seniors. YOUR seniors. Grandmas (whether real or inherited), aging parents, the lady at church that sits alone in the back… the neighbor across the street. Put their birthdays in your phone. Take a minute from your busy day to choose just the right card at Walmart or Target. Write a note inside. Mail it early enough so they receive it by their special day!! (Or hand-deliver with cookies you baked yourself.) Seniors, more than any other age group, truly appreciate your thoughtfulness. Truly. 9 – Hug tighter. Hug tighter when you meet your friends for lunch, visit the folks in Ohio (or wherever they live), see that great aunt in the nursing home, greet your kids after school, or your honey home from work. HUG LONGER. WITH PURPOSE. Every. Single. Time. Let it be the first thing written in your Eulogy. You. Hugged. So. Tight. HAVE A HAPPY NEW Y.O.U. YEAR! I have a very mixed pallet this year for my splashes of color on the wheel of life. They range from bright pure hues of assuredness and joy to dark earth tones of uncertainty and sadness. But then, that is the cycle of life- is it not? A highlight for me this year was spending 6 months in a mountain house overlooking the Cascade Range. I woke up to the sun reflecting off the Three Sisters every morning. Traveling to the town of Bend from our Eagle Crest home was an adventure in green pastures surrounded by stunning mountain peaks and filled with every type of domestic animal you can imagine. If winter and spring of 2015 was, let’s say, extended vacation, then spring was transition. Coming out of semiretirement to reestablish career expertise is no easy task. Fortunately, my husband (who could not turn down this dream job that awakened us from our Central Oregon dream) has settled nicely into his position as the director of new business for Trans Aero Helicopters. I spent the summer trying to remember my (yet again) new address, and how to translate the nuances of my new environment here in Colorado. The Rockies are as different from the Cascades as inland people are to those who live on either coast. If those peaks outside my mountain house were a sublime example of poetic serenity, then the Rockies are a perfect picture of majestic ruggedness. The people, I think, reflect their mountain ranges. Once I understood these analogies, life got easier. I daresay the state is growing on me! How do I know? Well, for starters, I used to be proud when having to show my west coast drivers license. Now I feel a tinge of shame and remorse for not having replaced it yet. By early fall I had moved through extended vacation, and transition, all the way to production. And it felt glorious to finally be too busy for much introspection about all of the above. 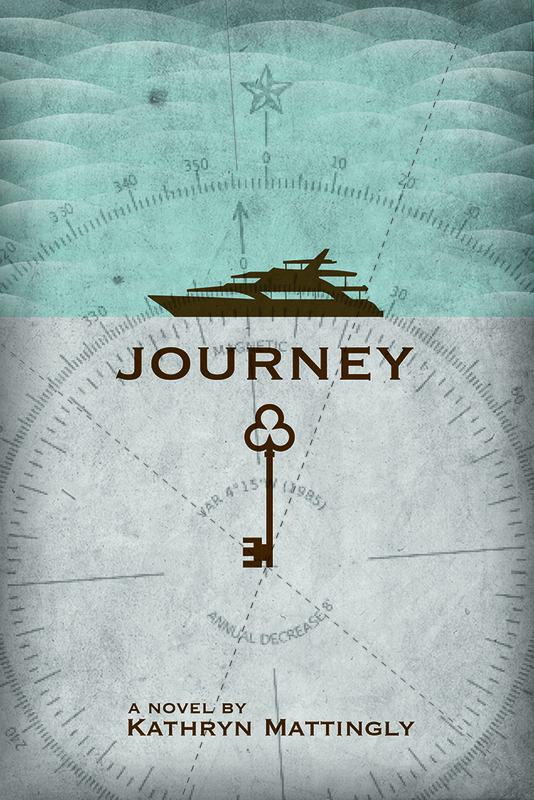 My second novel Journey was released by Winter Goose Publishing October 1, and I taught the novel writing course I created for Central Oregon college at Front Range college here in Fort Collins. I traveled back to where I left my heart- in Bend, OR, to be a part of their Writer’s Guild Harvest Festival as a contest judge, speaker, and workshop host. They even had a book launch for Journey! I feel both honored and humbled by the response I am getting to my second novel, which by its very nature is risky, because (according to my reviewers) Benjamin set the bar high. Although I will always write in the same genre (I am listed under literary suspense, literature, and general fiction) the books are set up quite differently. Benjamin runs from top speed right out the gate all the way to the finish line, whereas Journey is a slow burn that suddenly ignites. Fall was quite a wild ride, but I think the biggest ride I take this year will happen in a Trans Aero helicopter on December 19th as part of their Christmas party. Hopefully there will be no plot twists and we will land safely! I cannot write this post without sharing what I have been reading in 2015. Let’s start with Harry Potter. Yes, shockingly enough, I never picked up a single book or viewed any of the films for that matter, until recently. My grandchildren were appalled that I hadn’t read this beloved series they all grew up with. What do I think of them now that I am waist high in Harry Potter? JK Rowling deserves every penny she has made off of them. If I taught children (rather than adults) you better believe we would be reading and studying these books. I can’t think of any better way to turn children on to literature and reading, or to inspire them to have courage, character, and tenacity. As for those few Christians who think they are unsavory for young minds? I find that type of thinking much more frightening than anything on the pages of Harry Potter. Tis the season… of Christ’s birth, despite 90 percent of our celebrations having nothing to do with that, even for Christians. Nonetheless I would like to say, on behalf of His birthday, that the Christ at the center of my faith is all about love, forgiveness, inclusion, not judging, not whining, not complaining, and not insisting that the world do as He did or said- rather that through His example of unconditional love and acceptance people would come to Him for sanctuary. It saddens me to see all the negative press this year in which Christ is misrepresented to be a judgmental know-it-all determined to alienate everyone not willing to crawl into that very small, toxic, and suffocating box a few misguided people have put him in, including those who have picked on poor Harry. The reputations of the Bible and Harry Potter series aside, two of my standout favorite reads for 2015 were Rebecca by Daphne du Maurier (an older novel my book club chose, but just as riveting as anything written recently) and The Goldfinch by Donna Tart (a Pulitzer Prize winner). I am also working on my next novel, due out in 2016. We will conclude the year by traveling back to our Illinois roots, to visit Dennis’s mom and sister. Our youngest daughter Anna is coming with us and we will stay at the Four Seasons in St. Louis (Anna is a sales manager for Four Seasons Resorts). We are looking forward to enjoying a few cultural experiences while there. It should bring back a lot of childhood memories. God is a better writer than me. The best fiction plot my imagination has come up with pales in comparison to his. Some of the twists and turns in my personal story are helping me to realize that change is the only constant in life. Fortunately God gives us tenacity and courage with which to meet each and every challenge of our journey. He also helps his heroes and heroines develop persistence and humility as they stumble repeatedly while striving to reach their goals and dreams along the way. Unexpected plot twists are what led my amazing husband and I up to, and through the California years of our marriage. Hopefully a lot of personal growth is what we have found on the other side. No better place to put all this in perspective than sitting (almost literally) on a mountaintop. These past six months we have been living in paradise. Other than a roaring ocean in a tropical location, no where could be more inspiring than Central Oregon. 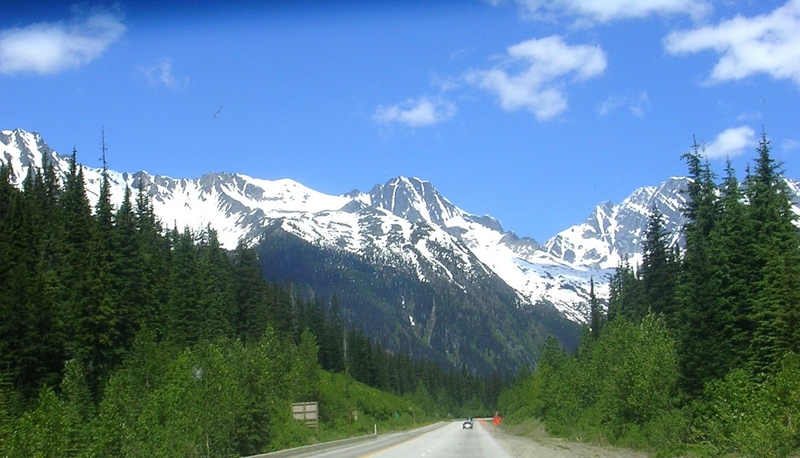 I will miss the amazing drive from our mountain house to, well, anywhere. I have to admit I have enjoyed the time to think, while passing pastures speckled with alpacas, majestic bulls, and lately… half a dozen calves among the free-range cattle. Daylight hours find the wide variety of domestic animals grazing lazily against a backdrop of snow-covered peaks that jut up into an endless blue sky. The smell of sagebrush and juniper entices an always open window in my jeep. Hawks, eagles, and Canadian geese occasionally soar overhead, and take my breath away with the sheer size of their wing span. Why did God put six months of paradise midstream in our plot? I have no idea, but that doesn’t make me any less grateful. It has been a revered time of reflection. In fact, leaving the mountain house for any reason has not been a priority for this reclusive writer. Except to buy groceries, hike in nearby Smith Rock State Park, visit brew pubs and experience local cuisine, I’ve rarely ventured from our cozy mountain house other than to get the mail, which granted, is a 10-minute walk past a meadow of horses and a mountain stream. The cat and I have spent many a lazy day by the fireplace. She napped while I wrote, or just stared at the glorious mountain range and rugged evergreens outside our window wall. I did manage to convince the continuing Ed program through the local college that they needed a novel writing course, which I had a lot of fun teaching. I also did some guest lecturing. That led to being a judge for the Writer’s Guild short story contest, which is a part of their Fall Festival here. I am coming back for the Awards Ceremony. I will also be a guest speaker for the Guild and host one of their writing workshops while here. If all goes well, I am hoping to add a book launch to the rest of the festivities. We move to Ft. Collins, Colorado right after Memorial Day, where Dennis has taken a Director of Marketing position with Trans Aero Helicopters. It is a dream job he has been pursuing for some time, and a pleasing surprise twist in our plot-line. The down side is that we will miss our wonderful family, not to mention watching the moods of a mountain sky change dramatically by the hour. I will miss the peaceful, quiet nights observing different phases of the moon and constellations that feel close enough to touch. Etched forever in my mind is a dazzling rainbow that formed on one of the few days it dared to rain. Jack’s beanstalk couldn’t have been more magical, shooting up from nowhere. I think we are two quite evolved people (my husband and I) that will be taking on this next chapter in our lives. The mountain we live on has moved us in many ways. It has helped us put a whirlwind decade in California behind us, and allowed us to let go of all the ghosts that had landed us there to begin with. I have not regretted a moment of our sometimes rocky path. If you take out one domino, then everything beyond that point is disconnected. Which domino would we pull? Altogether they have fallen into quite a nice pattern, despite a few rough patches. This last six months has been especially in sync for a pleasing rhythm to our lives, our marriage, and our resurfaced dreams for the future; dreams we’d all but given up on. In the quiet nights filled with dashing stars, in the wind off the ridge every afternoon, in the varied songs of native birds amid the sage brush of the desert floor… the dominos have fallen one by one in a unhurried pace this past half a year. You can almost see them heading to that curve, where the direction and momentum will change once again. We are ready for it. We both still have a lot to accomplish and the timeline of our plot relentlessly reminds us to make haste. So, we will wind down our mountain one last time and ride out of Oregon… Colorado bound. Hopefully the resolution to our story will be retirement in about 10 years, right back here in paradise!